If you are a Jewish school (day school or religious school), Voices & Visions is happy to send you a gift of a new educational resource - a 24"x30" poster called VISIONS OF TIKKUN OLAM. The poster features 12 works of art made by children ages 7-12 reflecting the many ways we can "fix the world". It is accompanied by a lesson guide. 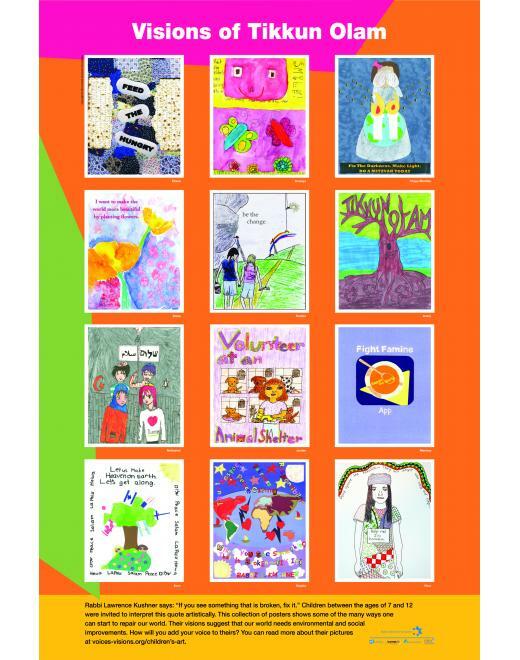 Click here to see the featured posters enlarged - the first 12 in our Visions of Tikkun Olam gallery.